It's time to manipulate Tetriminos, zap ghosts and recruit Pikachu. Things have definitely picked up for Nintendo's 3DS. We kicked off September with Star Fox 64 3D, then concluded the month with the equally impressive FIFA Soccer 12. Suffice to say, the dual screen handheld continues to turn heads, and October should be no exception. Although you won't find a slew of triple A releases, the portable has quite a few intriguing titles, some of which we've had a chance to play. With that, here are the five 3DS video games worth checking out. Note we said, "checking out" and not purchase, since it remains to be seen if four of these potential hits will be any good. The world's biggest puzzle game returns to a Nintendo system in grand fashion. Tetris: Axis comes with the same old Tetris everyone loves, but the developers at Hudson Soft upped the ante with more than 18 unique modes that put a fun spin on the classic formula, from carefully placing shapes to form a picture to using the system's augmented reality feature to play Tetris on your dining room table. We just reviewed this game and loved every second, so definitely put it on your must play list. Quite honestly, we don't know what to expect from the newest Spider-Man, and that goes for both the console and 3DS versions. The concept of experiencing two distinct time periods, and having actions in one affect the outcome in another, is a cool idea, but for all we know, this game could be one huge mess. 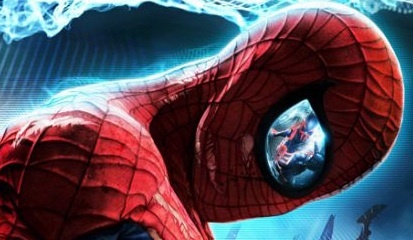 That said, everyone's favorite web slinger has faired well on Nintendo's portable systems, so there's hope that Activision won't drop the ball. Our time spent with Majesco's ghost busting game was brief, much too short to get a feel for it. 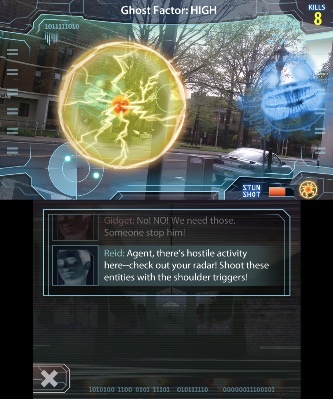 That aside, the fact that it's one of the few adventures to make use of the 3DS Augmented Reality feature intrigues us, especially how the game asks players to visit specific locations to battle enemies. Our advice? Wait for a review of The Hidden before buying a copy. Here it is, the first Pokemon game for 3DS. While not a true adventure in the tradition of Red and Blue, Rumble Blast should give Poke fans something to chew on until Nintendo finally unveils the next true chapter in the franchise. In it, players hunt for over 600 toy Pokemon and pit them in battles against other creatures. They can even exchange data with other gamers via StreetPass. Centipede is one of those classic arcade franchises from the 80s that sort of fell off the map, so Atari deserves kudos for attempting to revive the celebrated quarter muncher. The new version, Infestation, comes with 40 stages, a variety of weapons and a storyline that apparently chronicles mankind's war against those nasty bugs. We'd like to say it'll be a huge hit, but we saw what Atari did to that Yar's Revenge reboot a while back. Nasty stuff.